My watercolour painting of the Thu Bon River above Hoi An, Vietnam. My oil painting taken from a photograph of a scene on the Thu Bon River, Hoi An, Vietnam. 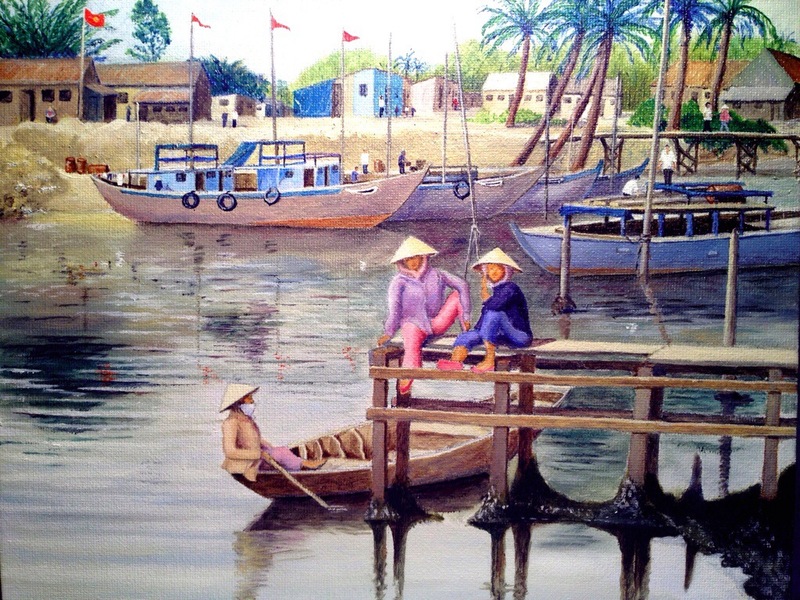 A little scene captured on the Thu Bon River at Hoi An, Vietnam. Painted in oils. 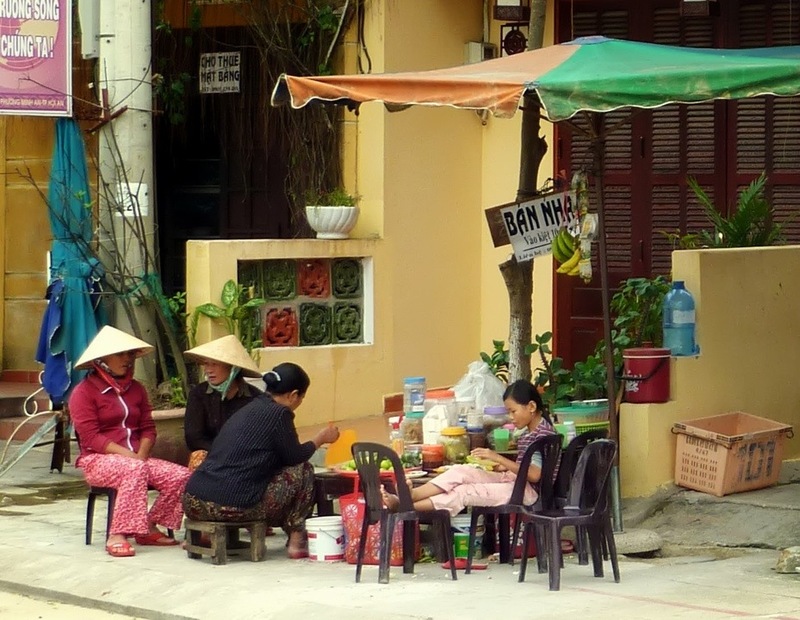 A photograph taken in Hoi An, Vietnam of a family group at lunchtime, sitting by the Thu Bon Riverside. 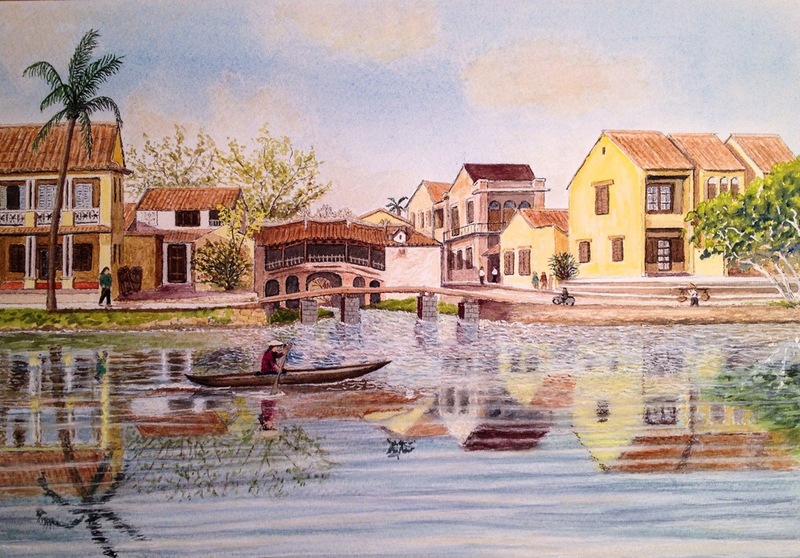 A watercolour painting finished today of the Thu Bon River at Hoi An, Vietnam. One of my favourite places!